The Bible encourages us to make it a priority to be planted in the local church, and we encourage you to do the same. We have many different avenues where you can be committed to Lakewood. God ordained the local church since the beginning because He knew we needed each other. By committing to be involved at Lakewood, you not only stay strengthened in your walk with Christ, but you stay encouraged through your fellowship with other believers. To be successful in your Christian walk, it is essential to connect, grow and serve — the DNA of Lakewood Church. Connect with other believers to encourage and strengthen one another, grow in your walk with God through our weekend and midweek services, as well as the various Bible study groups available, and serve others while serving God. Serving others is not just about church, it’s about serving others as a lifestyle...at your church, in your community and around the world. Connect with other believers for fun and fellowship, while getting the support and encouragement everyone needs to be victorious. Our weekly services will give you the tools to grow and succeed. 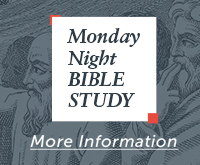 To go more in-depth, visit Compass Bible Studies, held before or after each weekend service. One of the most rewarding things you can do is helping others. At Lakewood, we’ll help you find the service opportunity that’s perfect for you. It’s easy to do your part to support the ministry of Lakewood! Click the link below to get started.